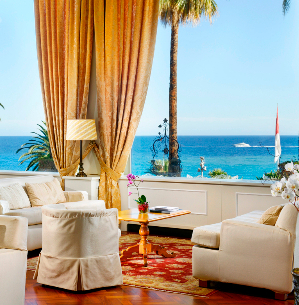 The 5 star hotel in San Remo has everything you could possibly want for a carefree holiday on the Ligurian Riviera. From its panoramic terraces you can admire the splendid scenery of the Mediterranean, savour the scent of the trees in the tropical park that surrounds it, and at the same enjoy delicious dishes from Ligurian, Italian and international cuisine. The impeccable service in the 5 star hotel in San Remo will be an important part of a memorable stay.